The clarifying care with calaguala fern and juniper berry oil clarifies and restores balance to oily scalp conditions. pH 6.3 to 7.3, vegan. The aromatic shampoo prepared according to old Mayan recipe is similar to fast greasing prone scalp, clears and nourishes. 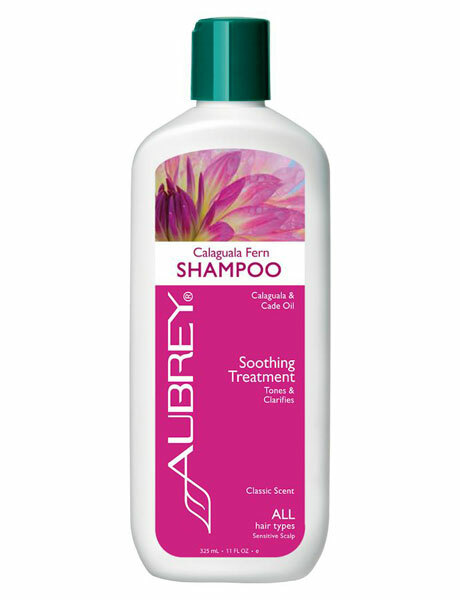 The ideal natural alternative to anti-dandruff shampoos for oily and prone to dandruff scalp. Calaguala shampoo gives fine hair volume and shine. Ideal in combination with the GPB gloss care rinse for sensitive and scaly scalp conditions. Application: Before the first application remove freshness seal. Shake well before use. All hair care products can be used sparingly because they are very economical. Apply on damp hair, massage and rinse well. To repeat. Thereafter, the GPB gloss conditioner is used best. Ingredients INCI: Decyl glucoside‡ (from coconut/corn sugar), lauryl glucoside‡ (from coconut/beet sugar), aqua, sodium lauroyl lactylate (plant source), glycerin, yucca schidigera root extract, quillaja saponaria (soap bark) bark extract, fragrance‡‡, juniperus oxycedrus (cade) wood oil, oenothera biennis (evening primrose) oil*, leuconostoc/radish root ferment filtrate, citrus grandis (grapefruit) extract, quillaja saponaria (soap bark) root extract, ascorbic acid (vitamin C), alcohol, sodium phytate, tocopherol (vitamin E), polypodium leucotomos (calaguala) leaf extract, pinus strobus (white pine) bark extract, xanthan gum, citric acid.